HSBC is one of the world’s leading banking and financial institutions. HSBC serves over four million customers in nearly five hundred branch locations. They specialize in offering a full spectrum of financial services to their customers that include banking services, loans, investments, insurance, money management, retirement and business services. They are a trusted name and have been serving the worldwide financial community since 1850. Their solid reputation and long standing experience make HSBC Bank credit cards a trusted solution. HSBC Bank credit cards offer a variety of credit solutions for both personal use and business needs. The HSBC Bank credit cards are designed to work in conjunction with and complement the other services they offer, making HSBC a one stop shop for all your financial needs both business and personal. HSBC offers an array of services but one of the reasons HSBC Bank credit cards are so popular is because each one comes with some amazing benefits that are hard to beat. Each of them comes standard with any type of personal HSBC Bank credit cards you get. So in addition to getting the credit card that makes purchasing convenient and secure you also get benefits that really bolster the value of the card. RoadAssist roadside service will allow you to contact the service if you break down on the side of the road or need assistance. If you have a flat tire, need a tow or run out of gas, you no longer have to worry as someone will assist you at no additional charge f you have HSBC Bank credit cards. MasterRental insurance helps cover you in the event of a rental car hire. If you are travelling or need to rent a vehicle temporarily you will have insurance coverage without needing to add any at the time of rental. For people who travel the added benefit of Mastercard Travel Assistance Services is a great feature allowing you to book travel and get incredible deals. Added to this is online account access and 24/7 customer support for emergency cash advances and lost or stolen cards. One of the most popular of the HSBC Bank credit cards is the Premier World Mastercard. This card comes with the HSBC Premier rewards. In order to open HSBC Bank credit cards you must have a checking account with the bank at minimum. A $50 maintenance fee will be applied annually if $100,000 is not maintained across banking and investments. There are several advantages to this card. 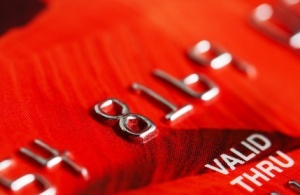 You may avoid foreign transaction fees when you use your card in a different currency. You wil earn one point for every dollar spent. There are no restrictions on the purchases, no cap on how many points you can accrue and no expiration of the points. Points can be used in a variety of ways. You can use them for travel, airfare, entertainment, shopping and even cash back among others. There are also no blackout dates for travel nor seat restrictions, making this the ideal card rewards card for those who travel frequently. This is also an extremely flexible card with no pre set spending limits and no over limit charges. There is no annual fee to access the card and they offer a low variable interest rate of 9.99% annual percentage rate, making it one of the best interest terms in the industry. In addition to the Premier World Mastercard, HSBC Bank credit cards offer a Platinum Mastercard. There are a variety of cards available for personal use and the advantage to these cards is that you do not have to have any additional HSBC services to qualify. Your good credit and personal preferences are all you need. You can choose from a variety of different rewards programs from travel and points to cash back. There are even HSBC Bank credit cards with no rewards club that may have other advantages. HSBC Bank credit cards are also available for business use and as such have multiple advantages. Businesses need to spend money on equipment and supplies and often multiple personnel have to purchase them. Having HSBC Bank credit cards at your disposal makes purchasing a lot easier and convenient. Plus, with the handy features available with HSBC Bank credit cards you can easily track your accounting and analyze your money flow. You can get HSBC Bank credit cards for each person in the company who needs to spend. Credit limits can be set individually up to $25,000. You will receive both individual statements as well as a consolidated statement so you can easily reconcile your accounting. Similar to the personal HSBC Bank credit cards, the business cards offer rewards. You can earn points that can be redeemed for many different items including travel and air fare, entertainment, sporting events, gift cards and more. HSBC Bank credit cards are inexpensive to maintain, carry a number of benefits, allow you to accumulate rewards and have a low interest rate. But in order to get such incredible terms you have to have incredible credit. This is a premier card designed for those who have good to excellent credit ratings. For those with less than great credit, you may not qualify for such an exclusive card. Unfortunately, HSBC Bank credit cards are not available in a secure card format for those who have problematic credit. However, you may be able to find other unsecured cards or secured cards elsewhere you may qualify for. HSBC Bank credit cards have great benefits that allow the user to conveniently shop and have flexibility in spending. For the person with good credit, this can be the ideal solution to allowing you credit use without the associated high fees. You are getting rewarded for maintaining your good credit. However, for those who may have some problems and their credit score is not as good, this may not be a card you will qualify for.